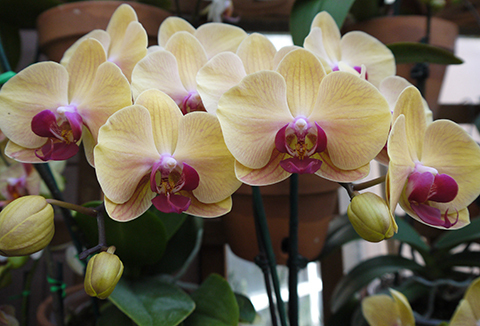 The Orchid Column: The Gently Used Plant Sale! The Gently Used Plant Sale! When: Wednesday April 18 & Thursday April 19 from 9 am until 4 pm. 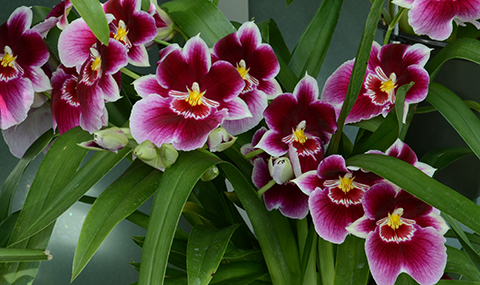 Almost as popular as our annual Orchid Daze display is the Gently Used Plant Sale! 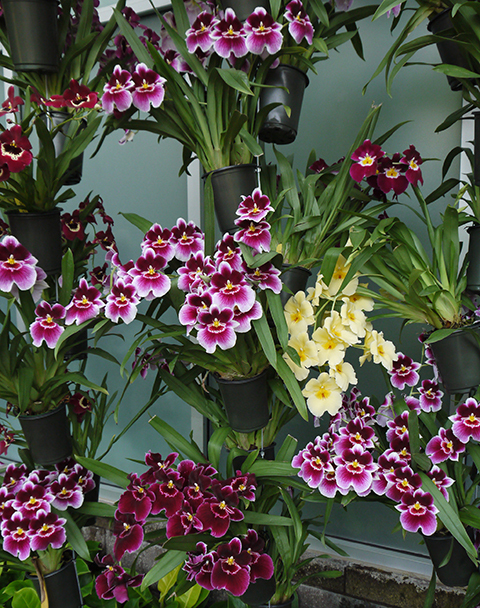 that follows it, when we sell off many of the display orchids. The orchids look great. The Pansy Orchids above were bought in three weeks ago in bud in order to get our display through its final two weeks. The flowers should last for weeks. 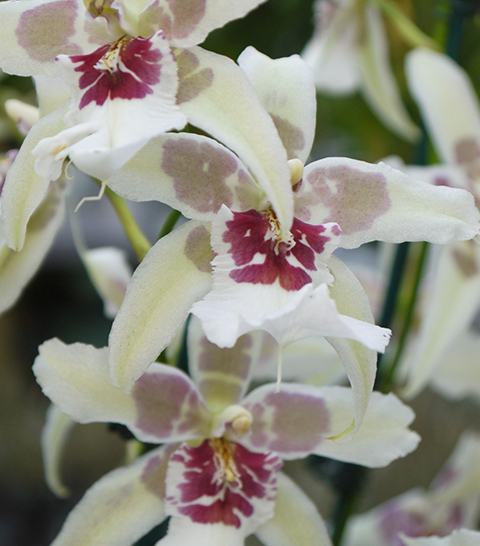 At the sale there will be written information and volunteers available to answer your questions about orchid care. 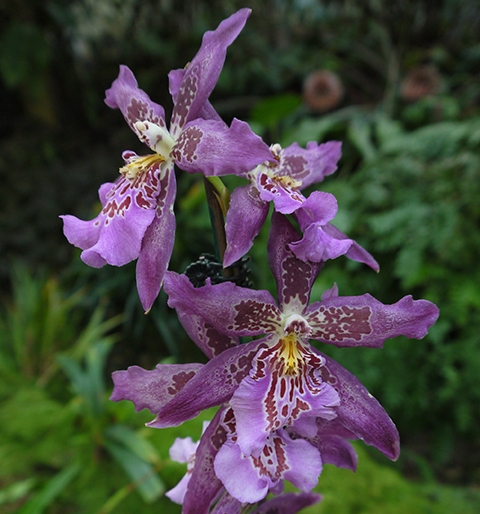 On Monday and Tuesday I will post orchid care information on this blog. This year's orchids were exceptionally beautiful. Plan to come to the sale early to scoop up the freshest material. The sale is very popular. Some of you (names withheld) have been giving our plants the 'shoppers eye' for weeks. True story: On Wednesday I got a call from our receptionist. Standing in front of her was a hand wringing bride-to-be who had the mistaken notion that our sale was today. The woman's wedding is this Saturday. She was planning to buy all of our white orchids for wedding decorations and, Could we please remove the orchids from the display now and sell them to her? I've been taking calls like this all week.